Home >> Posts Tagged "protection"
This puja effectively clears away our physical and mental obstacles, and grants strong protection against negative energies. 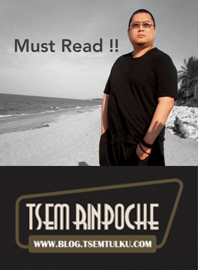 © 2011 Tsem Tulku Rinpoche. All Rights Reserved.